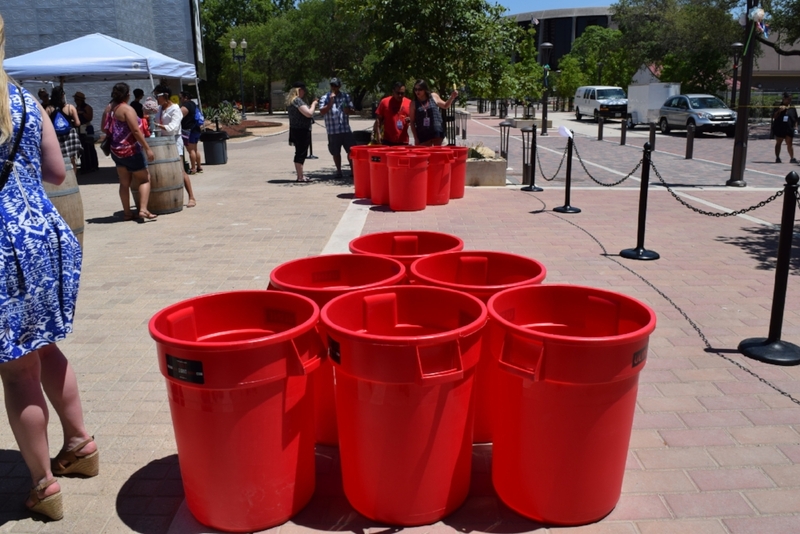 The history of giant beer pong is quite the story. Many games such as baseball, football, and mainstream sports have a direct time and place that can be pin pointed to when they were discovered. Beer pong on the other hand, is not so easy. Beer pong is one of those games that you play, and you really don’t think about why you’re throwing ping pong balls into cups across a table. So this first date on the timeline is a pretty crazy theory, but it is worth sharing. One night in Jamestown, Virginia, a few college aged kids became bored. They began tossing rocks into a hollow tree trunk to see who could make it. Later the kids could not get enough of the skill and stacked up wine glasses to toss rocks in. The rocks that they were throwing were too heavy, so they ended up throwing rolled up candle wax. This date is a more accurate history point for beer pong. In the 1950’s a few college students at Dartmouth wanted to play a game other than ping pong. While the table was set up, there were cups sitting on the table to the side. A few of the guys began hitting the balls with ping-pong paddles aiming for the cups on the side. Two decades later, a fraternity at Bucknell University called Delta Upsilon created throw pong due to the unfortunate loss of ping-pong paddles. This game became very popular, and this quickly spread to many other campuses. The name eventually was changed to beer pong due to the high involvement of alcohol. Thirty years after the creation of beer pong, we came to the conclusion that the game could only get better with bigger cups and bigger ping-pong balls. So this is how we came to the game of Giant Beer Pong. Let Rent Giant Games be the provider for your next party and provide giant beer pong or many other giant game options!